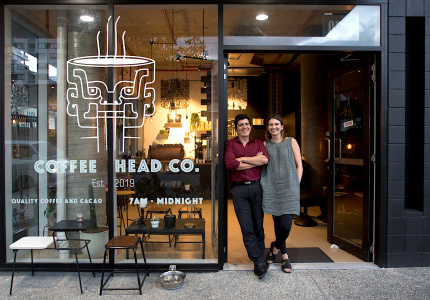 When Helen Bird and Billerwell Daye happened upon a subterranean storeroom at the foot of an Elizabeth Street laneway, it was, at the time, destined to become an office. 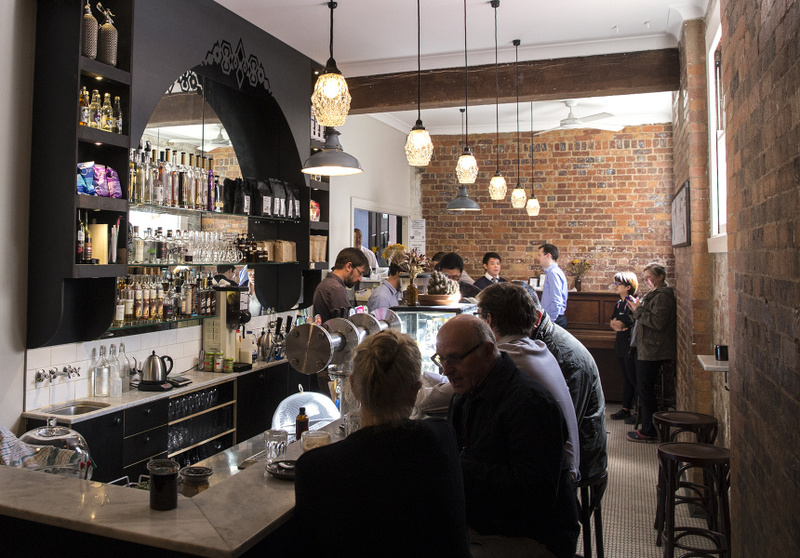 Partnering with barista Marcus Allison, they instead stripped the walls to bare brick and added a charming penny tile floor, reincarnating the space as an all-hours cafe and bar. 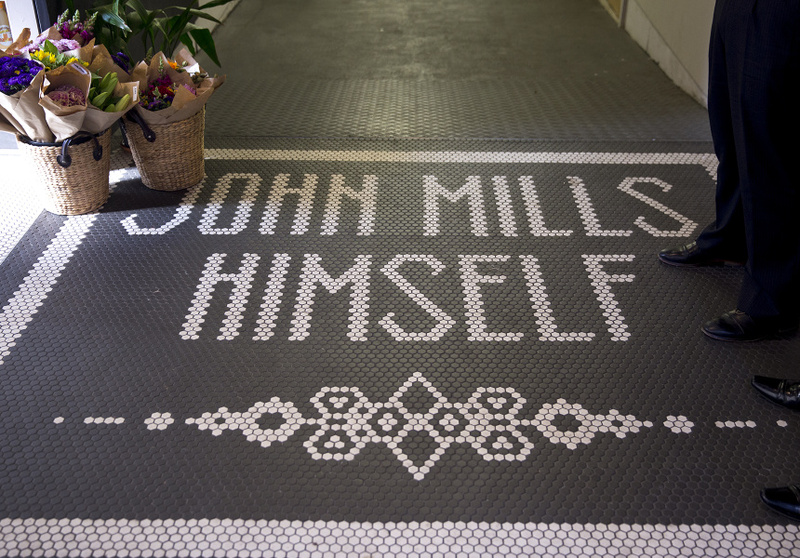 John Mills ran a letterpress and printer in this space from the 1920s until the 1970s – crowning its entrance is the original brass signage, fortuitously gifted to Bird and Day by one of his last living relatives. These days, the conspicuous ka-clunk of heavy machinery has been replaced with the jingle of coffee grinders and cocktail shakers. 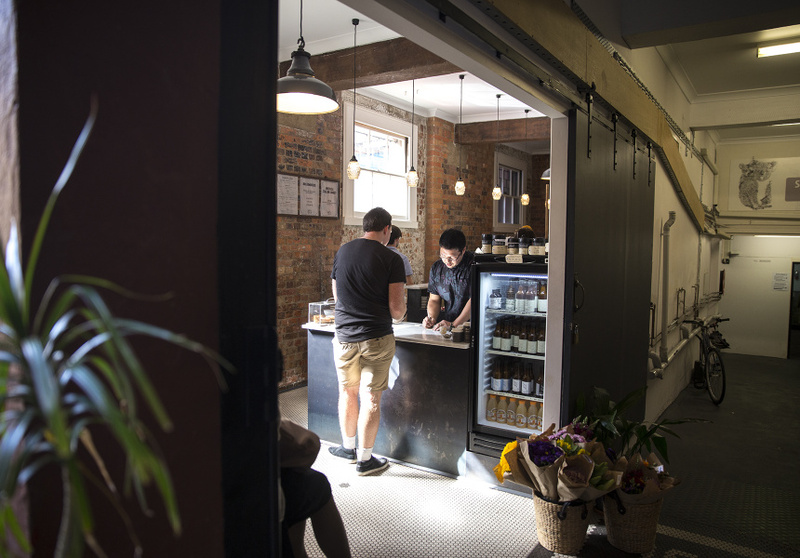 By day, locally roasted beans from The Single Guys, Uncle Joe’s and Coffee Supreme rotate across three tandem grinders, offering a house blend, featured single origins and special filter roast coffees. A selection of French pastries from Crust & Co. and Levain round out the cafe service. 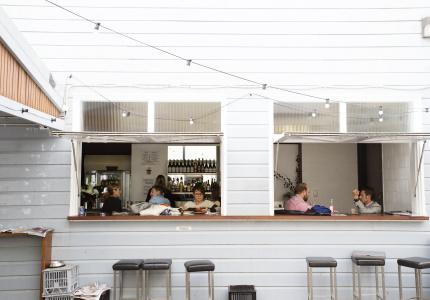 The afternoon changeover sees five-ounce ‘pony’ glasses hit the full-length marble bar, filled by kegs from Stone and Wood, Green Beacon and Bacchus Brewers. 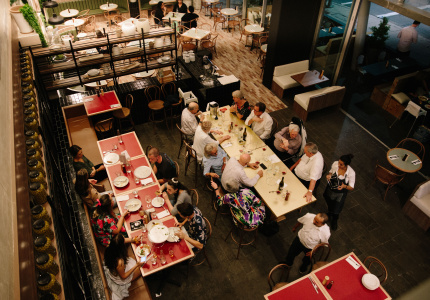 When it opened, John Mills Himself was Australia’s first venue to consider ‘drink miles’, only serving beer and wine from cellar doors within a 250 kilometres radius of Brisbane’s CBD, plus Australian craft spirits from further afield. During daylight hours, the cafe can be reached via secret door and staircase from the back of Archives Fine Books, also on Charlotte Street, a nod to the building’s indelible ties with the written word.